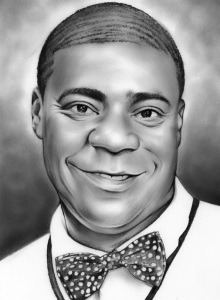 Tracy Morgan had that horrible car accident in 2015. Few people expected Tracy Morgan to be able to recover from it let alone make a return to comedy and the Howard Stern Show. Tracy talked about the physical and mental issues he dealt with after the crash, loss of his friend and the support he has received from fans. Tracy has been on the Stern a number of times over the yaars. He is as funny as ever but there is a sense that the accident changed him as a person. He talked about the loss of his friend who was killed in the accident and the gratitude for the support his fans showed. Right after the accident the prognosis for Tracy did not seem too positive. It is incredible that he has been able to recover so quickly. The Howard Stern show never posts full length interviews, this time they made an exception, they wanted fans to be able to hear all of what Tracy had to say.